The Greek philosopher, poet, and scientist Empedocles (ca. 493-ca. 444 B.C.) propounded a pluralist cosmological scheme in which fire, air, water, and earth mingled and separated under the compulsion of love and strife. Empedocles was born of a noble family in the Sicilian city of Acragas (modern Agrigento). He is said to have studied under Xenophanes or Parmenides. His work shows familiarity with Pythagoreanism, although stories about his banishment from the sect, like many of the legends that grew up around him, may be discounted as misinterpretations of statements in his writings. It is certain that he had a profound interest in natural science and in certain religious ideas, and although there is no hint in the surviving portion of his writings that he took an interest in political affairs, the Sicilian historian Timaeus tells of his efforts to establish a democracy in Acragas. Aristotle says that Empedocles was offered the kingship but refused it. Accounts of his death are so confused as to make it impossible to determine either the date or the place, although Aristotle noted that he did not live past the age of 60. Of his two poems, On Nature and Purifications, which totaled some 5,000 verses, fewer than 500 lines survive. On Nature presents Empedocles's philosophical system. Fire, air, water, and earth, the four roots or elements of which everything is made, are eternal and move through the cosmos with a swirling motion. The problem of change is solved by positing the existence of love and strife as the two forces which affect the four basic elements. Depending on which of these two principles holds sway at a given moment, the universe is either in a state of happy unity or of warring disunity, with possible gradations between the extremes. Purifications was an extended poem dealing with the human soul and espousing the Orphic and Pythagorean tenets of immortality and metempsychosis, which were widespread in the Greek West in the 5th century B.C. Empedocles asserted that he had been boy, girl, bush, fowl, and fish in earlier lives, and he speaks of his present life as punishment for past sins. Empedocles is less well known as the father of Sicilian rhetoric (Aristotle called him the inventor of rhetoric) and as an important contributor to medical science. Selected fragments of Empedocles's two poems, with English translation and full analysis, are found in G. S. Kirk and J. E. Raven, The Presocratic Philosophers: A Critical History with a Selection of Texts (1962). Useful discussions are found in John Burnet, Early Greek Philosophy (1892; 4th ed. 1930), and Kathleen Freeman, The Presocratic Philosophers: A Companion to Diels, Fragmente der Vorsokratiker (1946; 2d ed. 1959). 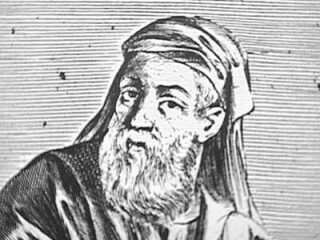 View the full website biography of Empedocles.